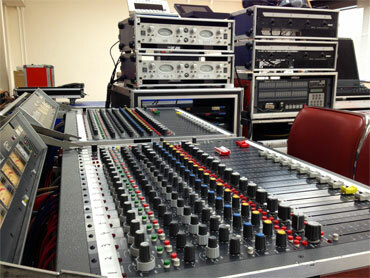 Today our rehearsals for "Amaterasu" on Sado Island finished, and we are about to depart for Tokyo. 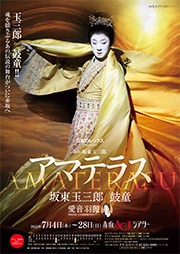 Tamasaburo Bando and Kodo are joined by former Takarazuka Revue male role star Harei Aine for this production with a brand new cast. 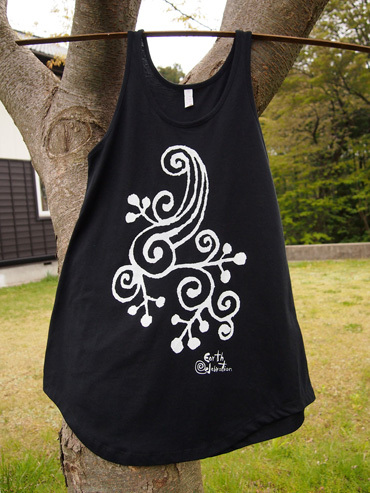 Seven years have passed since our first "Amaterasu" collaboration in 2007. Don't miss our fresh rendition of this classic tale! ■Harei Aine Special Appearance at EC 2013! Former Takarazuka Revue male role star Harei Aine, who plays the role of Ameno-uzume in“Amaterasu" with Tamasaburo Bando and Kodo, will appear at Earth Celebration 2013's final Shiroyama concert as a special guest. Earth Celebration 2013 merchandise is on sale now. It is very popular, so please buy your favorite items sooner rather than later. M size only. 50% cotton & 50% polyester. Light and soft. Black print on the heather red base. M size only. 50% cotton & 50% polyester. Cute, draped style. A-line silhouette. You can layer over other items. White print on black base. *This page is in Japanese only, but you can use it to check the color, design and price. 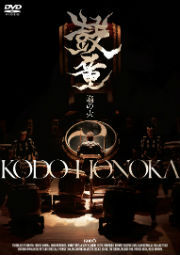 For orders and inquires, please contact the Kodo Online Store directly by email. 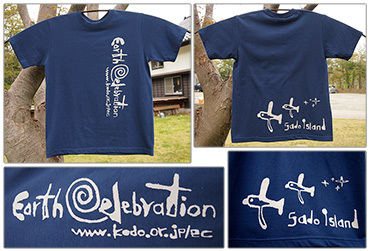 Earth Celebration 2013 merchandise is on sale now! 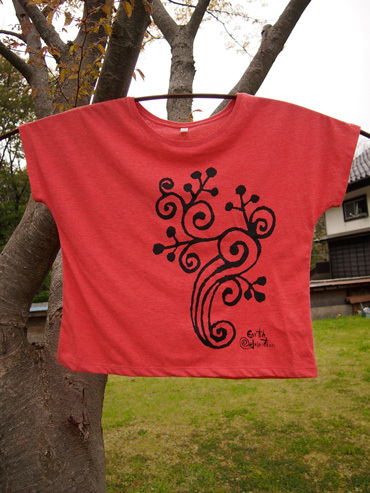 Size: XS - XL (XS is a 160cm children's size), 100% cotton with stencilled logos and illustrations. This T-shirts breathes well and is comfortable to wear because the print does not use oil ink. *This page is in Japanese only, but you can use it to check the color, design and price. 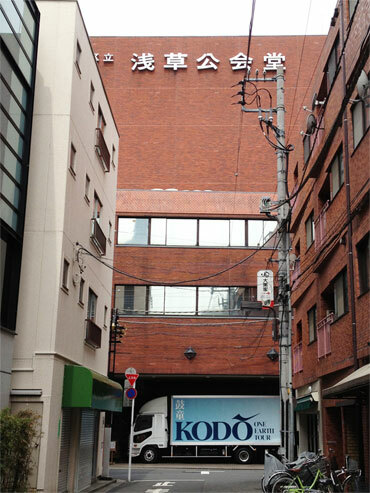 For orders and inquiries, please contact the Kodo Online Store directly by email. 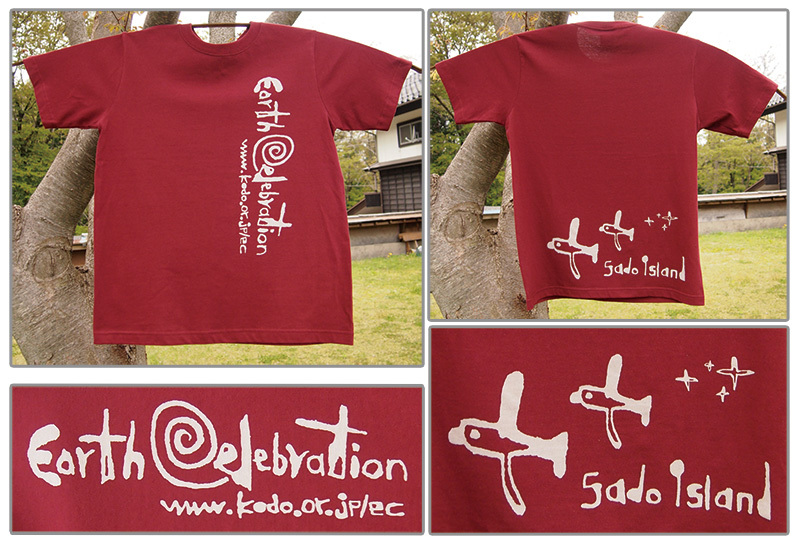 The Asakusa performances of "Kodo One Earth Tour 2013: Legend" begin today. The finale on June 9th will be broadcast live online via Ustream. We are getting ready for the broadcast at the theater already. Whether you come to the theatre or watch the performance on your computer screen, we hope you'll enjoy the concerts with us! 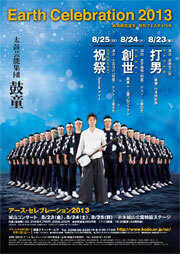 Kodo One Earth Tour 2013: Legend Japan Finale Performance in Asakusa to be broadcast live online.